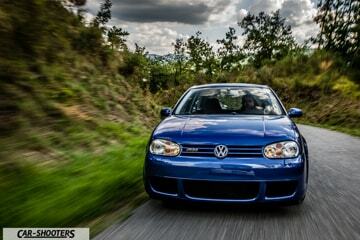 I’m having lots of fun while I’m driving this Volkswagen Golf R for a review! In white colour, as was the other Golf from the sport series already tested (click here for the article), it really makes itself noticed on the road. There are many differences with the GTI model, and I’m glad I’ve tried them both. 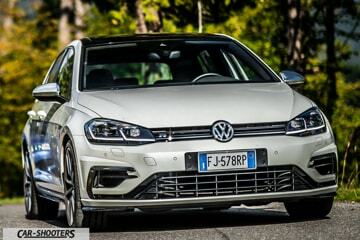 Volkswagen Golf R is characterized by the 4Motion all-wheel drive, a more sporty exhaust system, 300HP and some aesthetic details that characterize it. 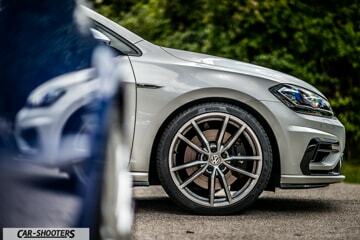 Aesthetically, Volkswagen Golf R can be recognized thanks to the 4 rear exhausts, the bigger braking system with the R logo on the callipers and the option 19 “wheels. 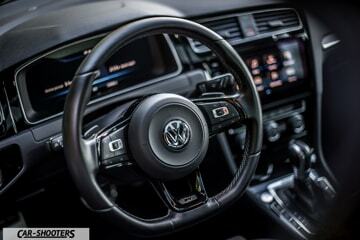 If the GTI model was easy recognizable with its red details for the bodywork and interiors, Volkswagen Golf R almost wants to mask its sporty footprint. 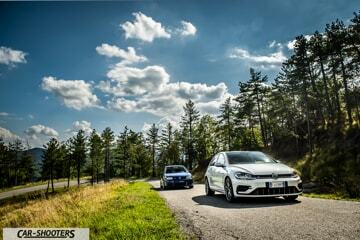 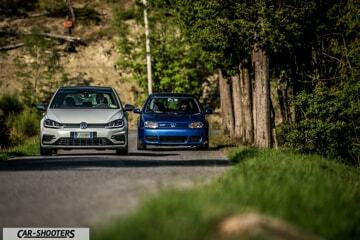 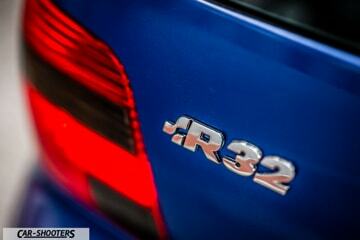 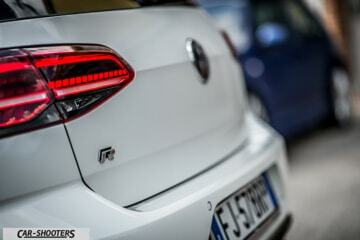 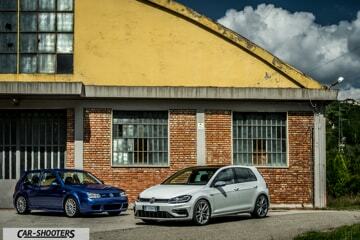 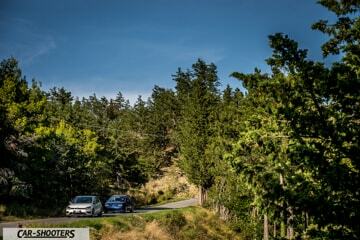 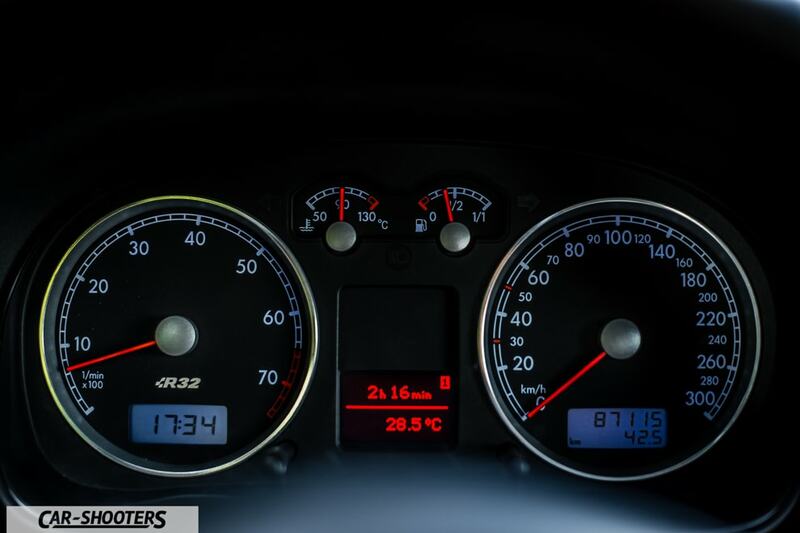 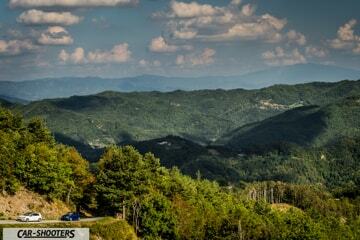 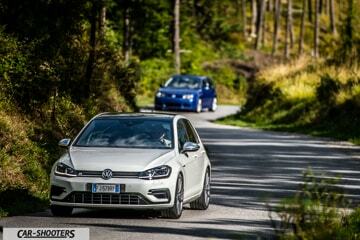 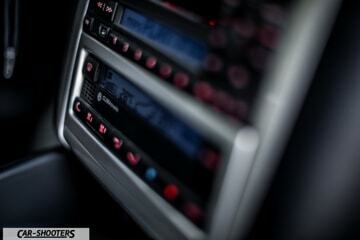 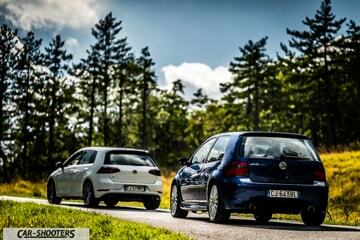 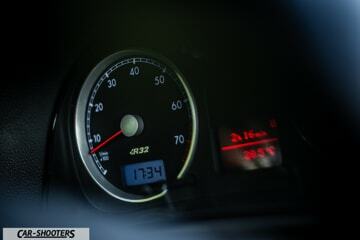 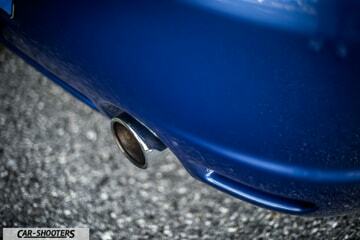 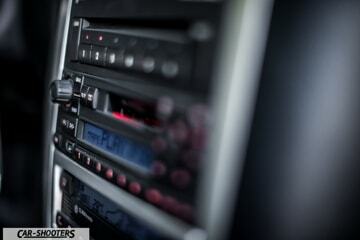 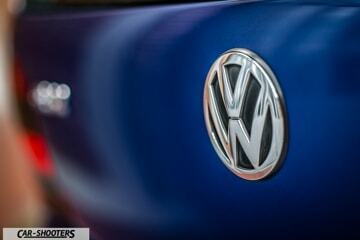 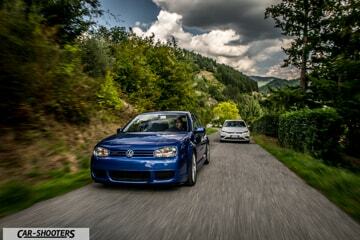 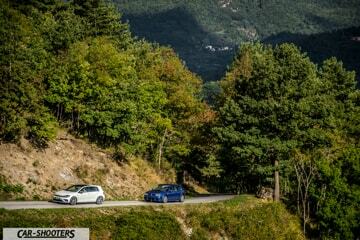 Golf R exaggerates only on one thing, the sound! 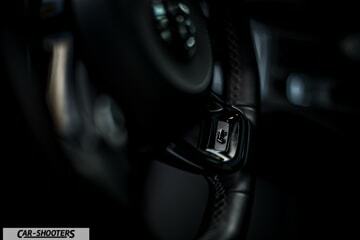 Choosing the Race driving mode the exhaust valve opens and the sound invades both the passenger compartment and the exterior with pops and bangs. A true symphony! 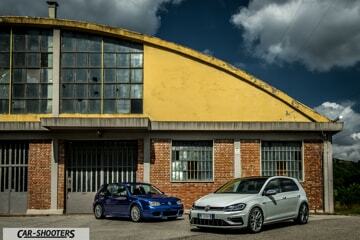 Today we have with us also Lorenzo, we had already known him in the previous article dedicated to Golf. As a true collector and passionate for this car on this Sunday of September he has joined us with another iconic Golf, the MK IV R32. 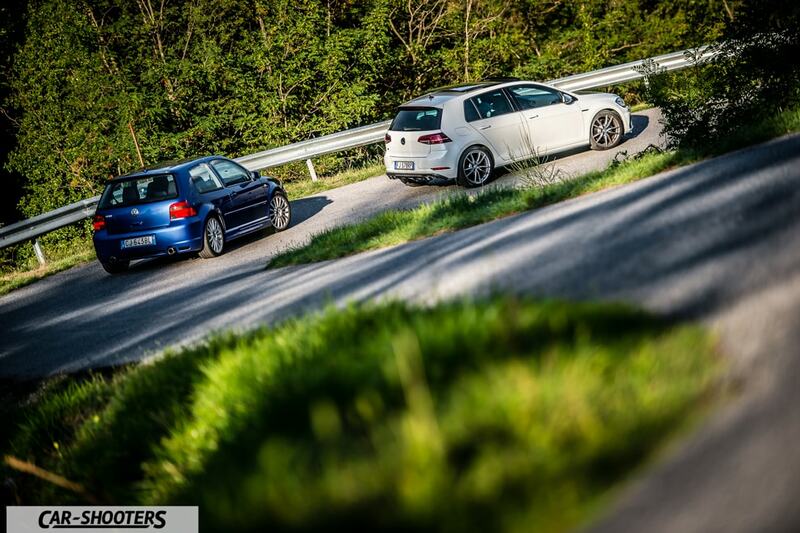 What a great playmate for my Volkswagen Golf R today! 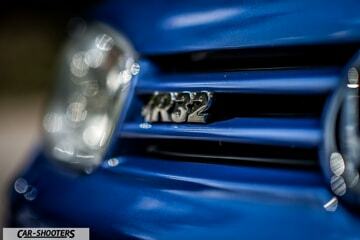 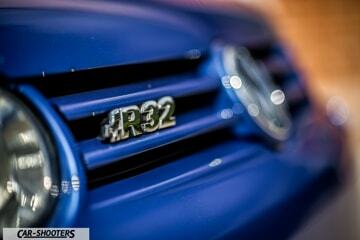 The MK IV R32 marks the beginning of the R brand for Volkswagen Golf. 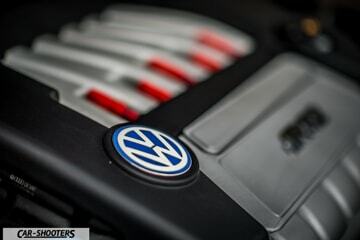 We are at between the late 90s and the beginning of the new millennium and the Volkswagen engineers come to an important decision: the GTI model could be overcome in terms of power, making it even more extreme. 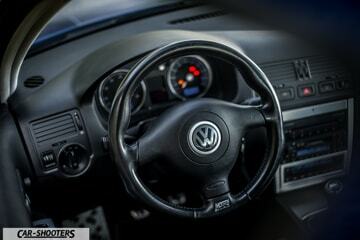 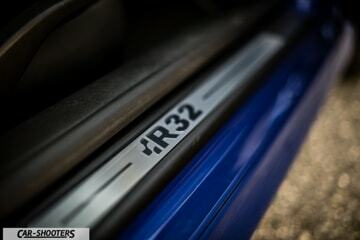 Here, the Volkswagen technicians, adding the four-wheel drive, a majestic 6-cylinder 3.2L and more luxurious interiors, in line with the price tag, gave birth to the Golf R32. 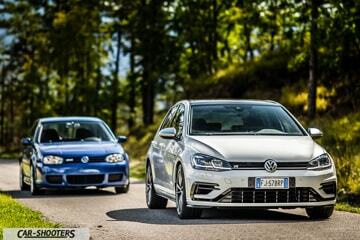 The best hot hatch ever according to many, the Golf R32 was characterized by the 4Motion all-wheel drive that send torque to the rear wheels only when needed, instead of keeping the 50:50 fixed configuration as in most competitors. 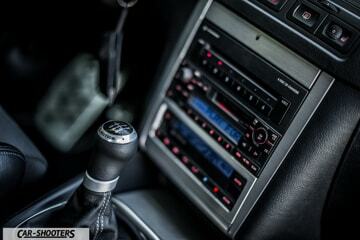 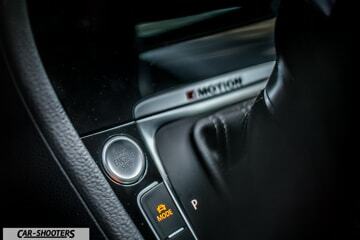 This allowed an unrivalled grip for the other cars on the market. 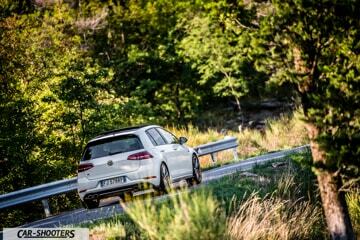 Lorenzo, who has always been in love with this particular Golf, after many years spent dreaming of it, saw one in conditions of abandonment near his home. 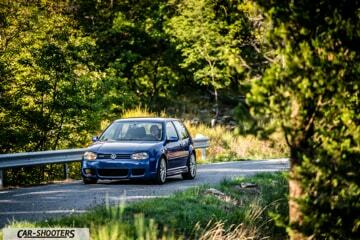 Day after day he passed in front of this abandoned jewel, wishing to give her the care she needs. 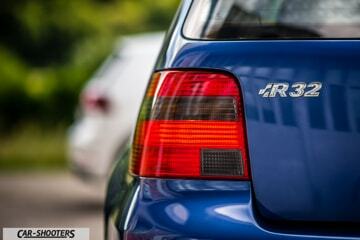 Leaving a note on the windscreen of this neglected car, in a few days it became its owner. 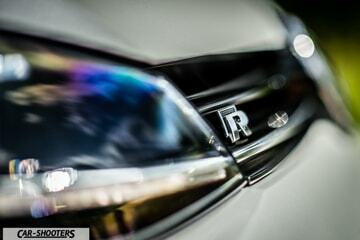 The complete restoration become a mission! 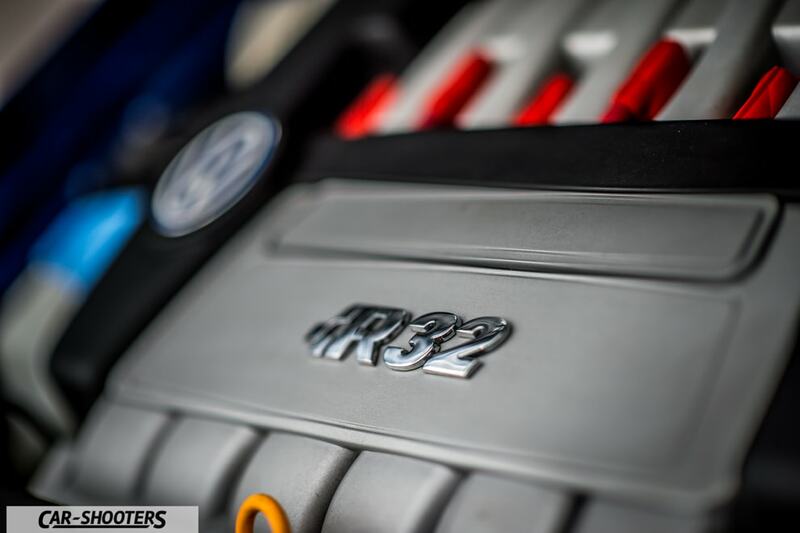 Thanks to the help of his very dear friend of Bolzano Marco Zanotti, owner of a Detailing centre, and with the care of the Dino body shop, manages to bring to the glories of a time this MK IV R32. Here it is now, next to the Volkswagen Golf R of this test drive. 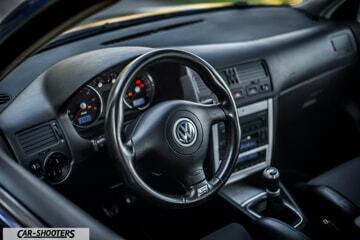 Much has changed over the years. 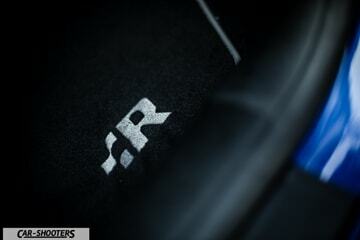 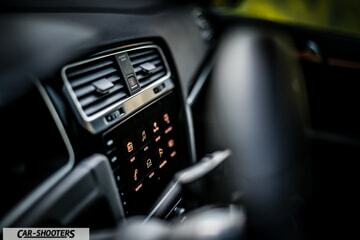 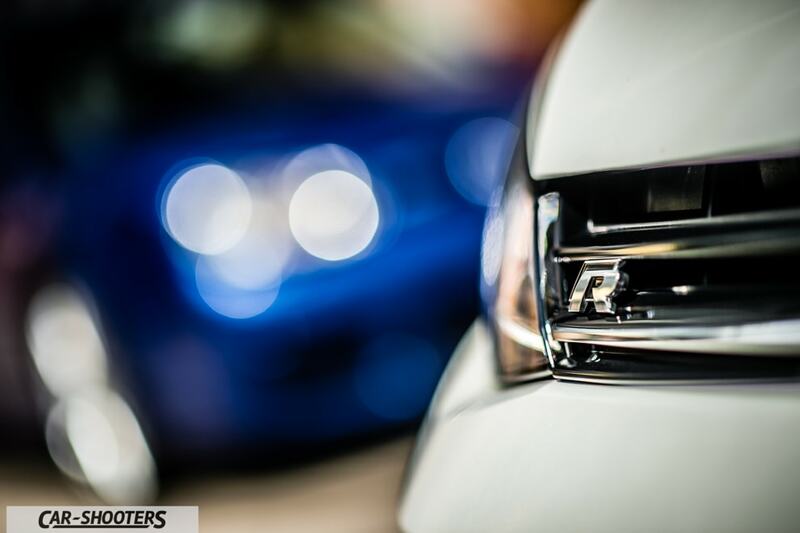 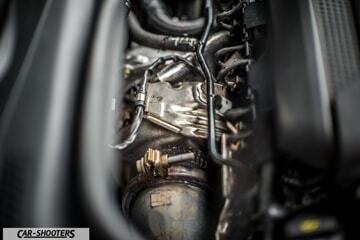 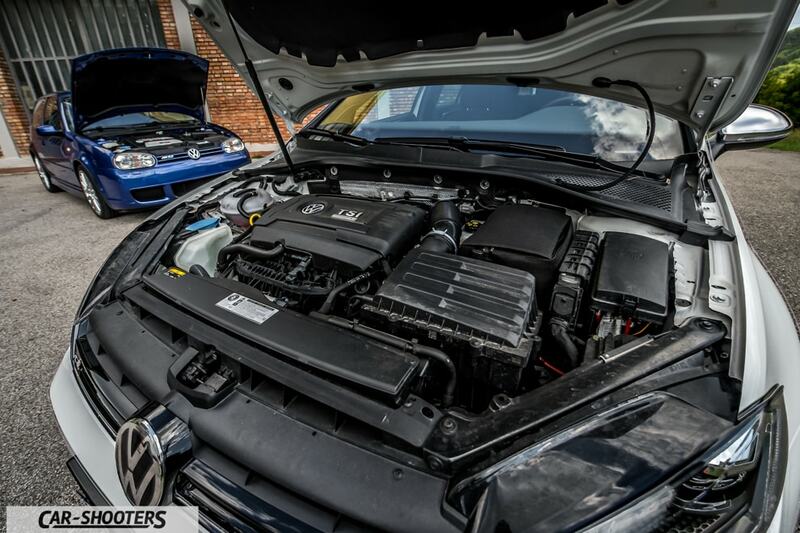 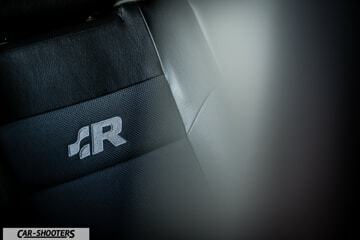 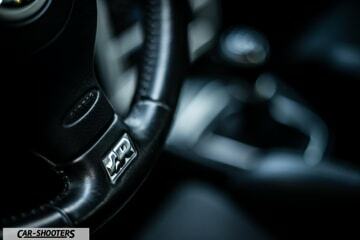 Technologically superior in every aspect, on Volkswagen Golf R the most important change is the engine. 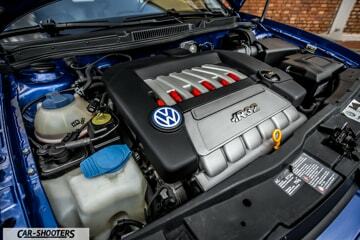 The downsizing imposed in recent times has forced the German engineers to replace the 6-cylinder with a 4-cylinder turbo. We then move from the 3.2L aspirated 241HP to the 2.0 turbo 300HP I’m driving. 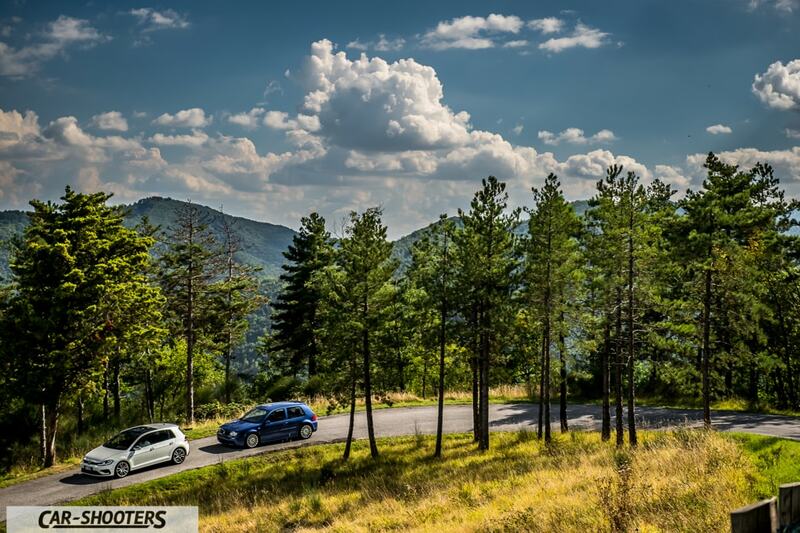 Two engines, two different settings, both characterized by the pleasure of driving and extraordinary performances. 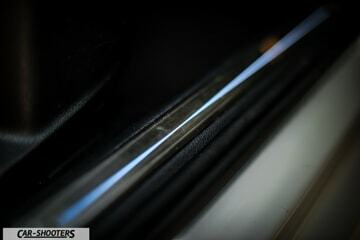 Placing one next the other, you immediately notice how all the aesthetic details have remained present. 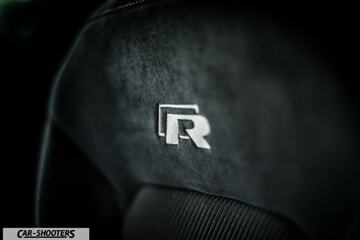 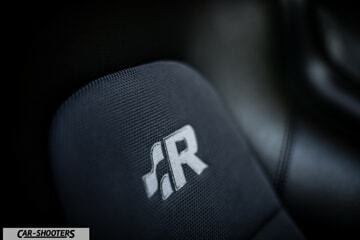 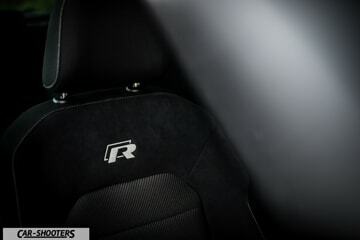 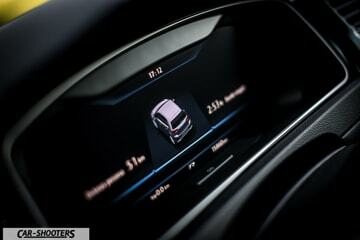 The R badges on the bodywork for the outside and on the seats and steering wheel for the interiors are positioned in the same way. 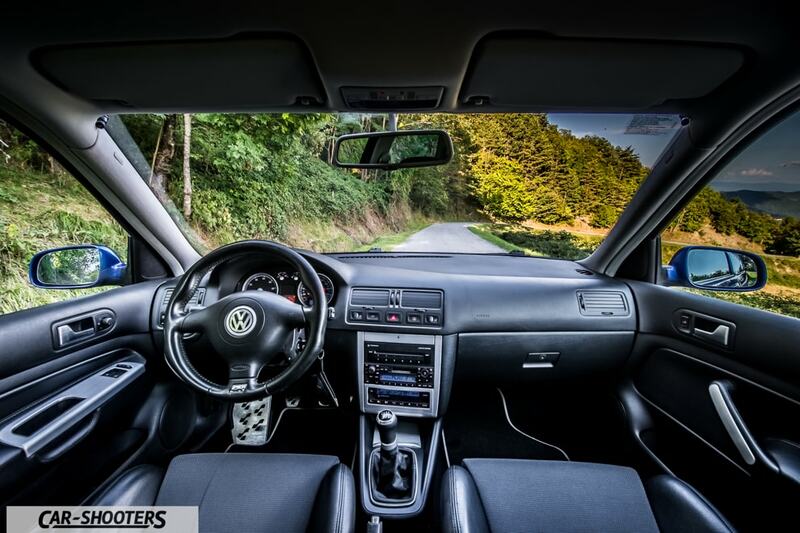 The ability of Volkswagen to innovate while remaining faithful to the design and characteristics of these cars is really impressive. 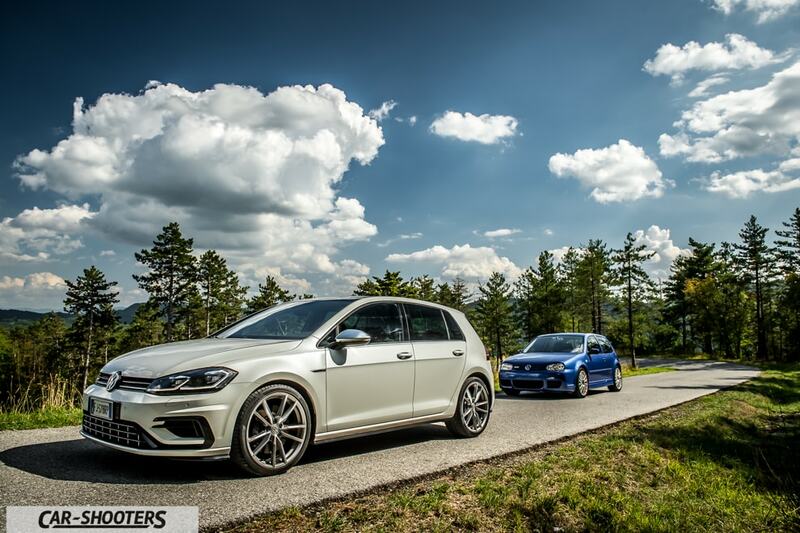 The two colors Onyx White pearl and Deep Blue together are a beautiful combination to see on the road. 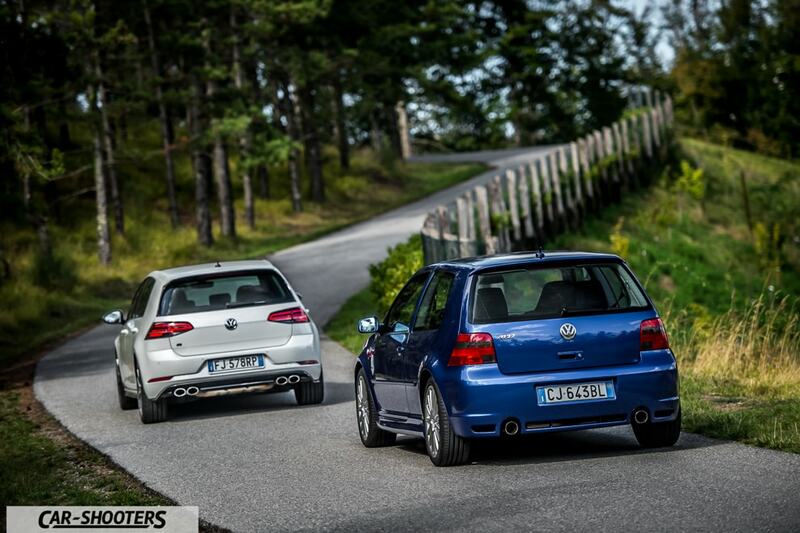 Getting onboard the two cars you can feel the technological evolution of these years. 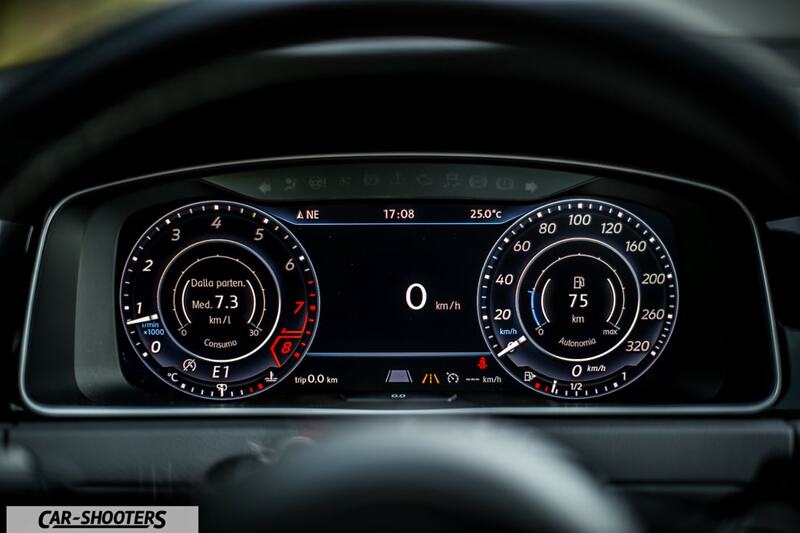 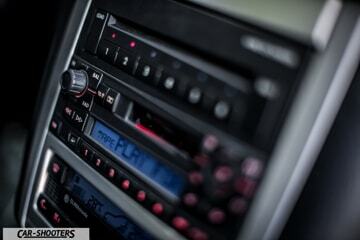 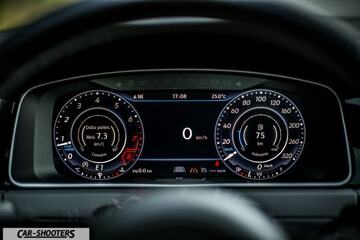 What was an analogue dashboard now leaves room for a digital screen, the cd and tapes player become a huge high-definition LCD screen to handle all the features of the car. The age difference is evident. 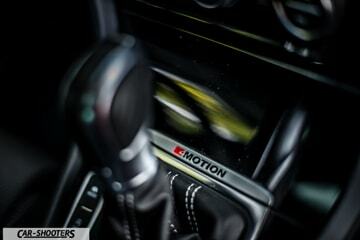 What does not change is the fun on board! 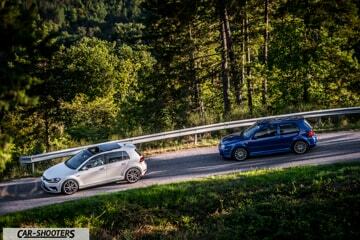 Driving Volkswagen Golf R, with Lorenzo, corner after corner I realize how much precision and road holding is able to offer. 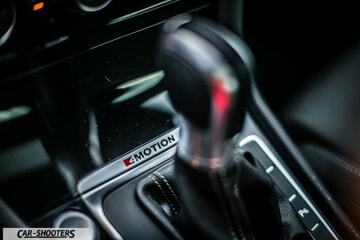 The 4Motion all-wheel drive, the progressive steering, the DSG gearbox, the extraordinary power of the engine all work together to offer a real weapon for fun. 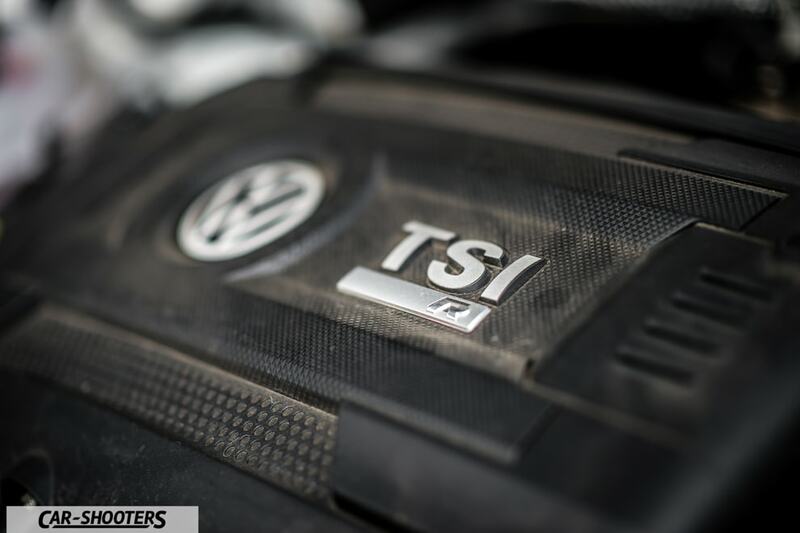 The traction distributed on the four wheels makes it possible to use the full torque and power of the TSI engine. 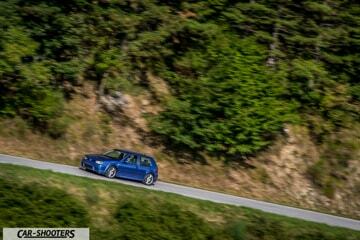 The car is glued to the asphalt without any hesitation. The progressive steering allows quick changes in direction and absolute precision in insertion. 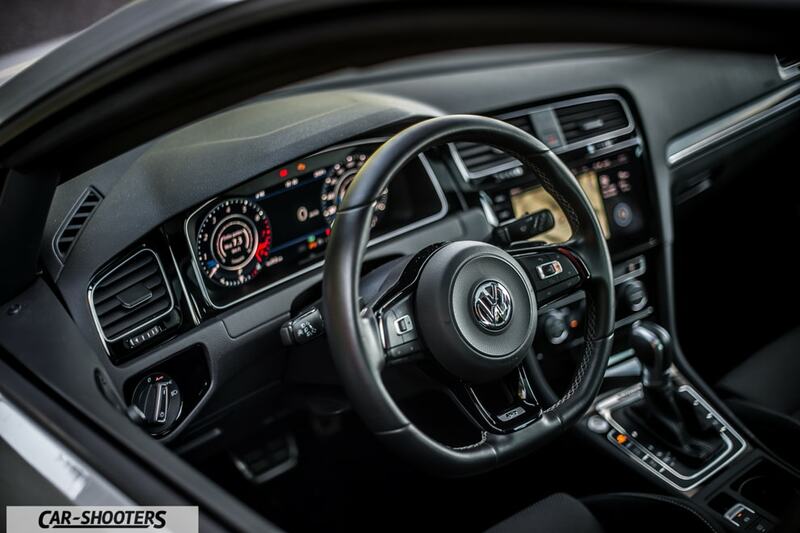 The DSG automatic transmission is always responsive and gives satisfactions when used in manual mode with the steering wheel paddles. 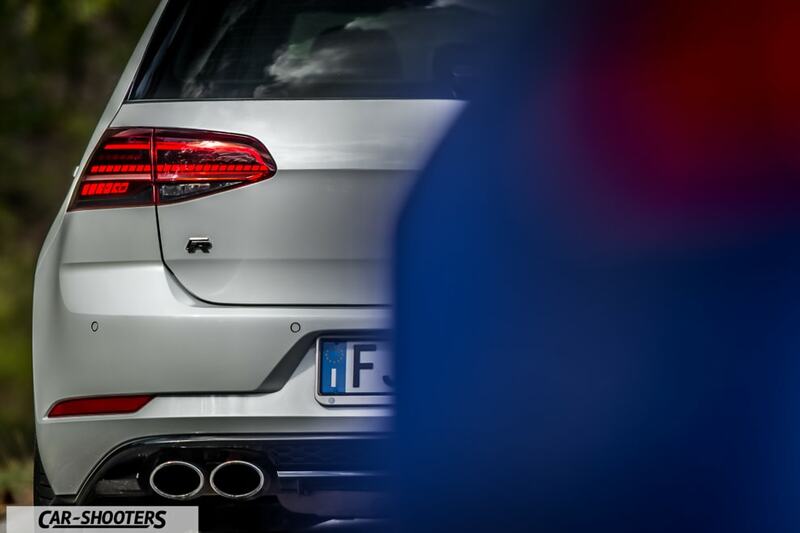 Everything works with absolute precision to guarantee the best performances, accompanied by a unique symphony that comes from the exhaust terminals. 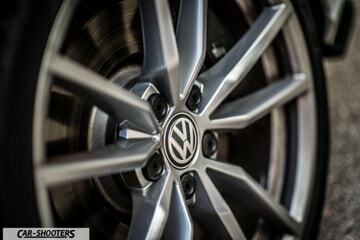 When you are tired of exaggerating, by inserting the ECO or Comfort modes, Volkswagen Golf R becomes an ordinary Golf, comfortable, silent, usable at any time, with the addition of all-wheel drive safety. 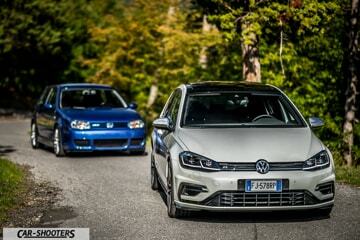 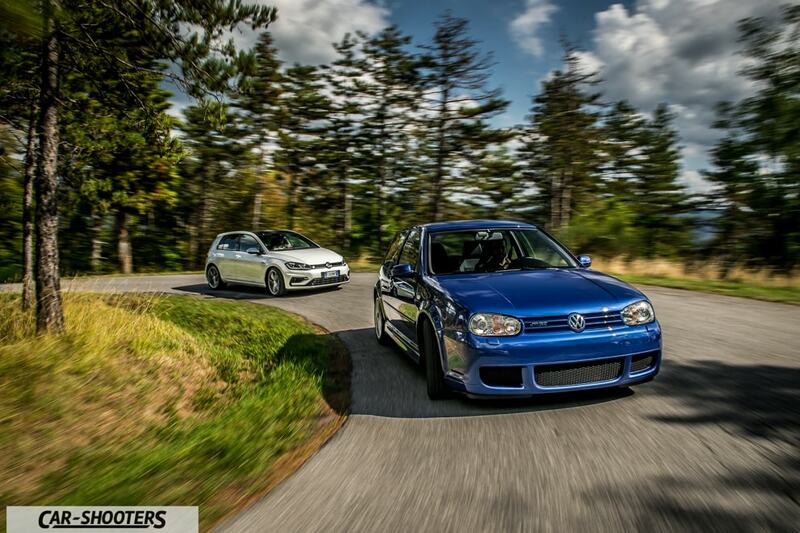 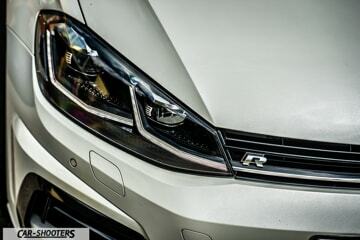 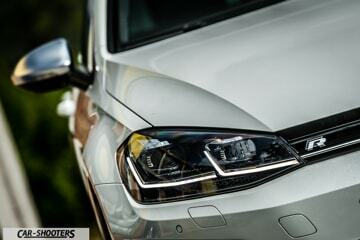 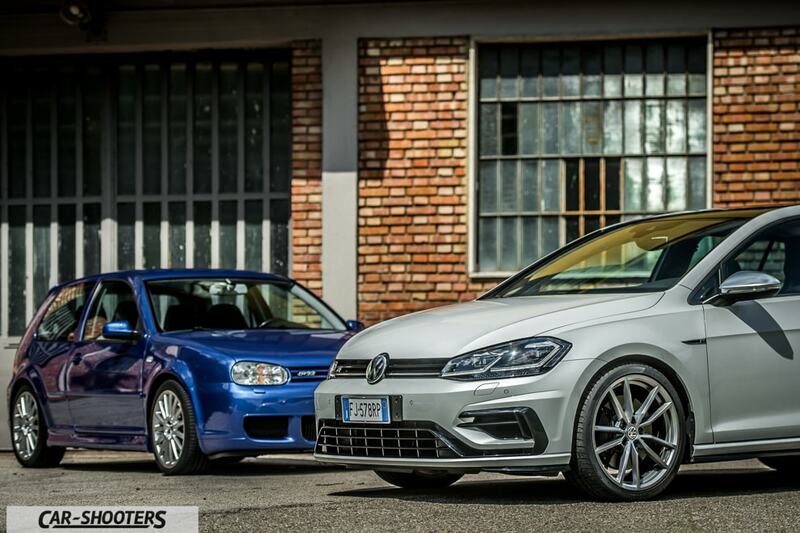 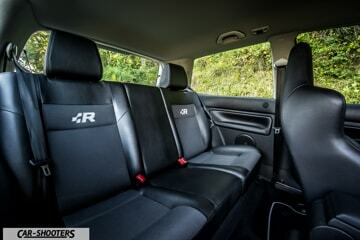 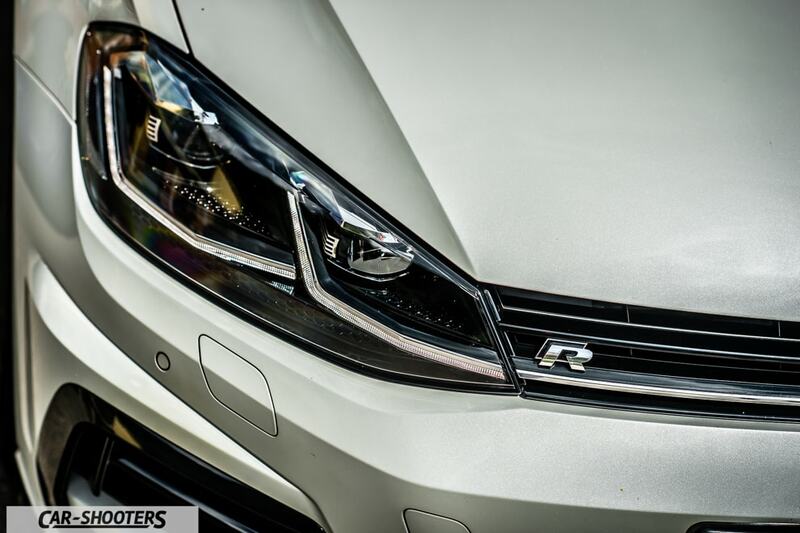 This double soul of Volkswagen Golf R is certainly the thing that amazes most after its extraordinary performances. 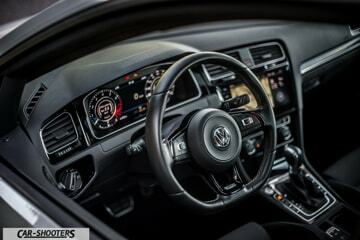 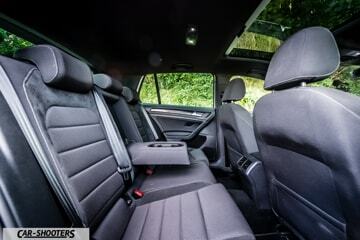 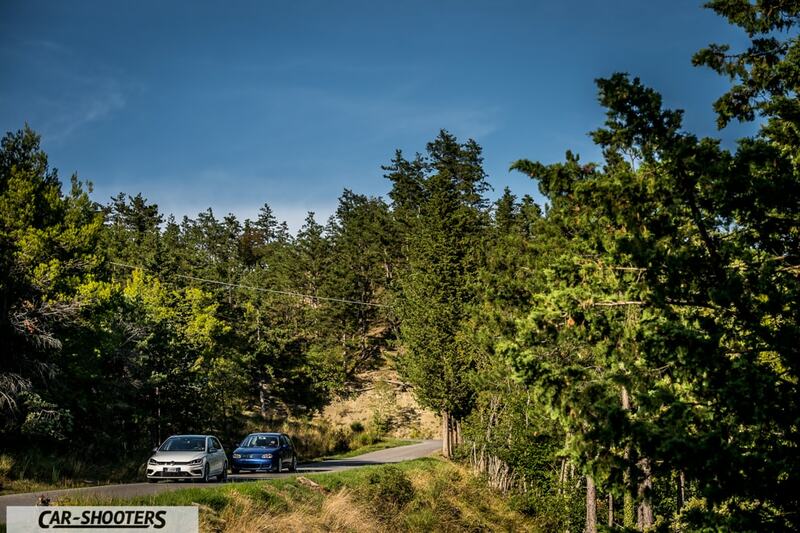 The Golf R is able to offer everything, comfort and safety for a long journey, perhaps accompanied by the excellent sound of the Dynaudio audio system, or performance of the highest level thanks to the launch control that provides impressive starts. 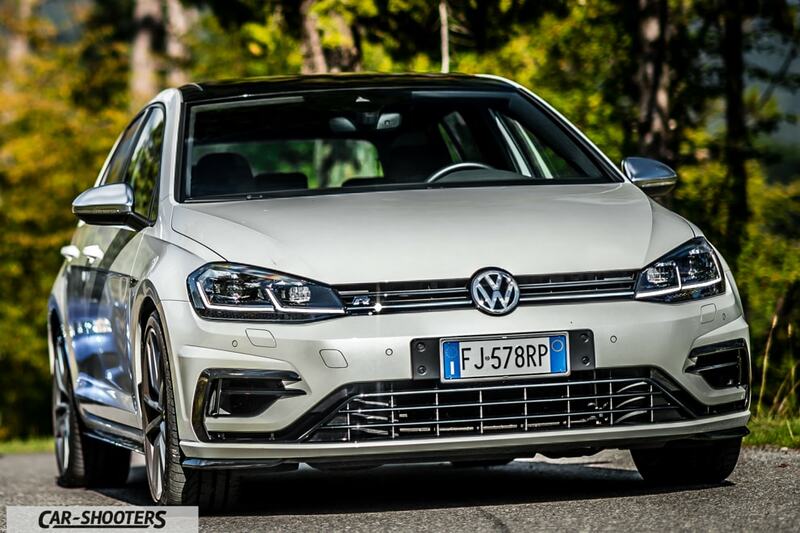 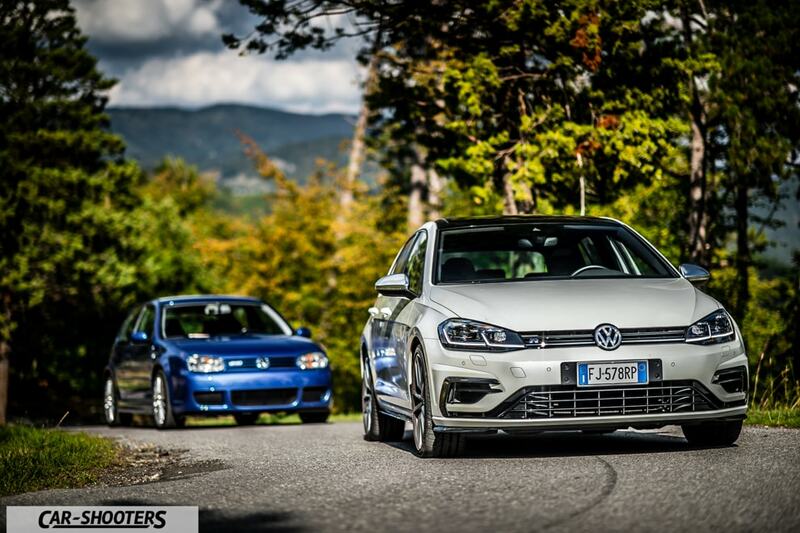 Arriving at the end of this Sunday of fun, we have again confirmed how Volkswagen Golf, year after year, has always been an absolute protagonist in the world of hot hatch, getting closer and closer to perfection.